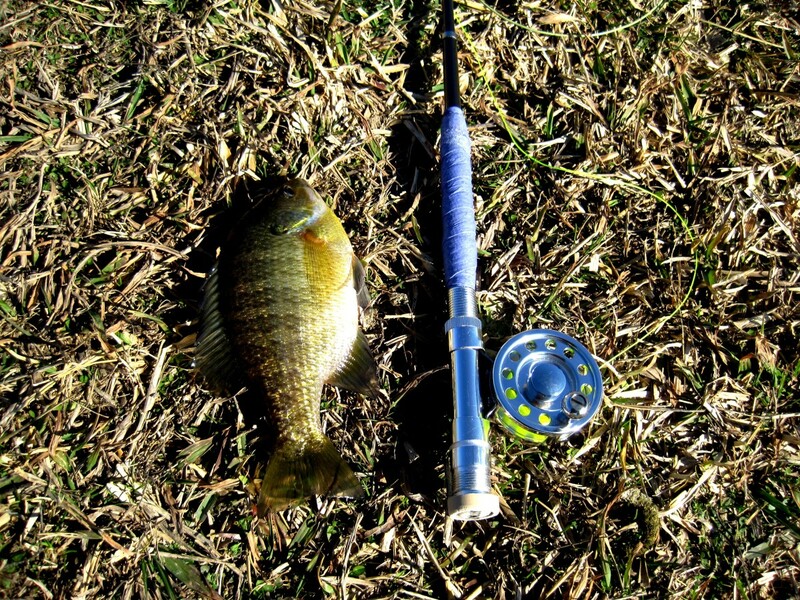 Ultralight gear fishermen usually fall into two categories. 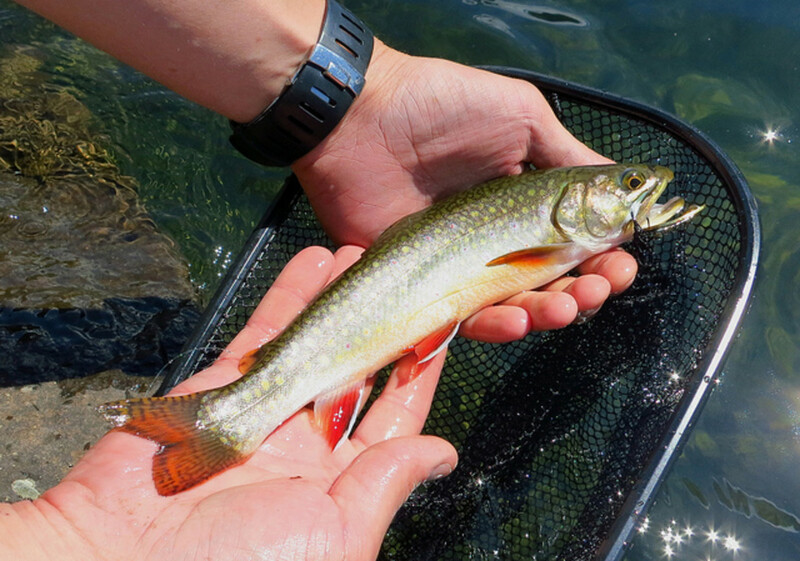 There are the hikers, backpackers, and back country anglers who are trying to reduce pack weight, and there are the fishermen who like the challenge and excitement of landing big fish on ultralight gear. Either way, the challenge is finding a lightweight, sensitive fishing rod which can go head-to-head with whatever fish comes its way. 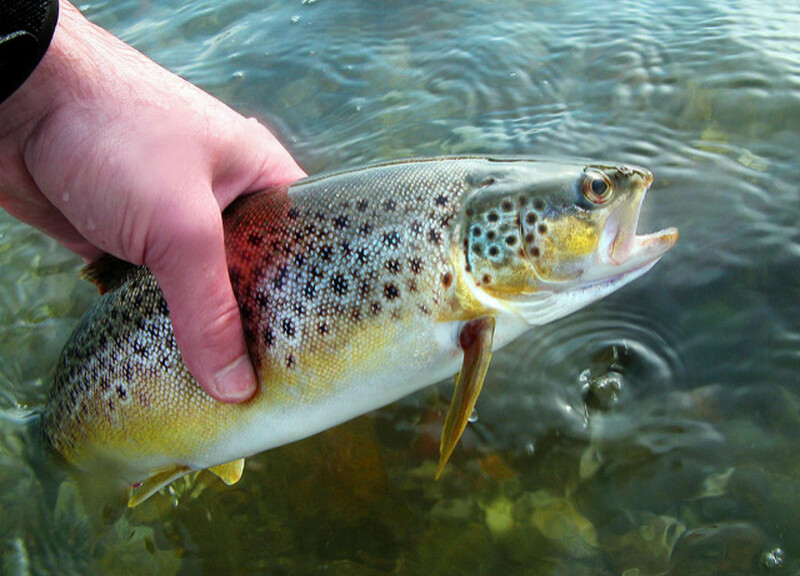 Ultralight gear offers many benefits over heavier weight, stiffer gear, however the most exciting is the increased sense of closeness and control you have when fighting a fish. From a nearly imperceptible nibble to an aggressive head shake, the entire fight is magnified by the correct ultralight gear. What Is an Ultralight Fishing Rod? As mentioned before, the term "ultralight" can mean two things in regards to fishing rods. In some cases, the term "ultralight" is referring to the actual physical weight of the fishing rod itself. More commonly though it is referring to the action of the rod. A rod with an ultralight action will have a lot of bend, meaning even the smallest fish will be able to put up a big fight. 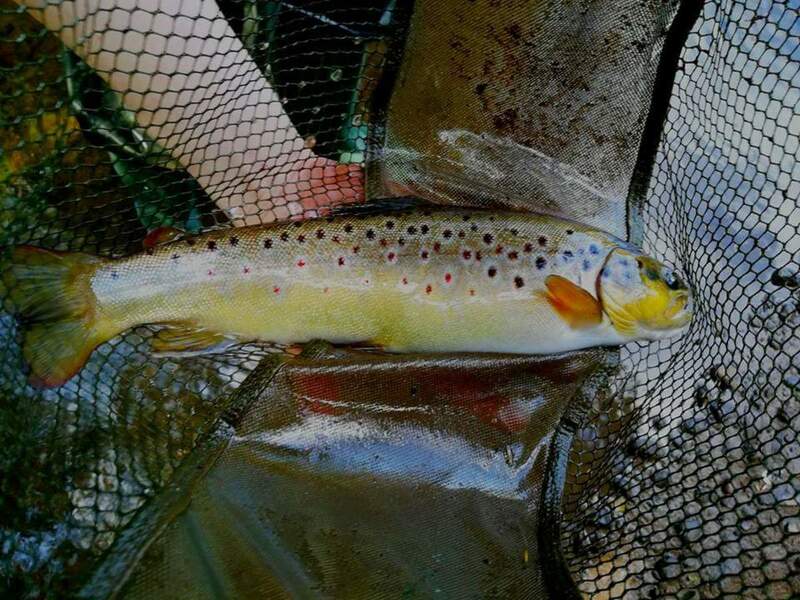 For instance, if you plan to fish high alpine lakes and streams where the fish might rarely grow larger than 10", you're going to have much more fun using an ultralight rod than your trout/bass/walleye rod you happen to have sitting around in the garage. The truth is, almost all well constructed ultralight action rods are made out of carbon fiber and don't weigh very much, so regardless of your intent, we're pretty much looking for the same type of rod. When do you use ultralight gear? Why Are They All Spinning Rods? If you've been shopping around for an ultralight fishing rod, chances are you've been seeing a lot of spinning rods and not much else. Plain and simple, spinning reels are much better suited for casting the lightweight types of lures ultralight fishermen use. Whether you're casting lightweight jigs, 1/16th trout spinners, or flies with casting floats, you're going to achieve much better casting range with a spinning reel. These types of lures simply do not have enough mass to accelerate a casting reel spool. So if you're thinking ultralight tackle, you're going to want a spinning rod and spinning reel. If you're unsure if the rod you're looking at is a spinning or casting rod, check the size of the first eyelet (closest to the handle) in comparison to the rest of the eyelets. If the eyelet has a relatively large diameter compared to the later eyelets, it's a spinning rod. If the first eyelet is similar in size to the later eyes, its a casting rod. 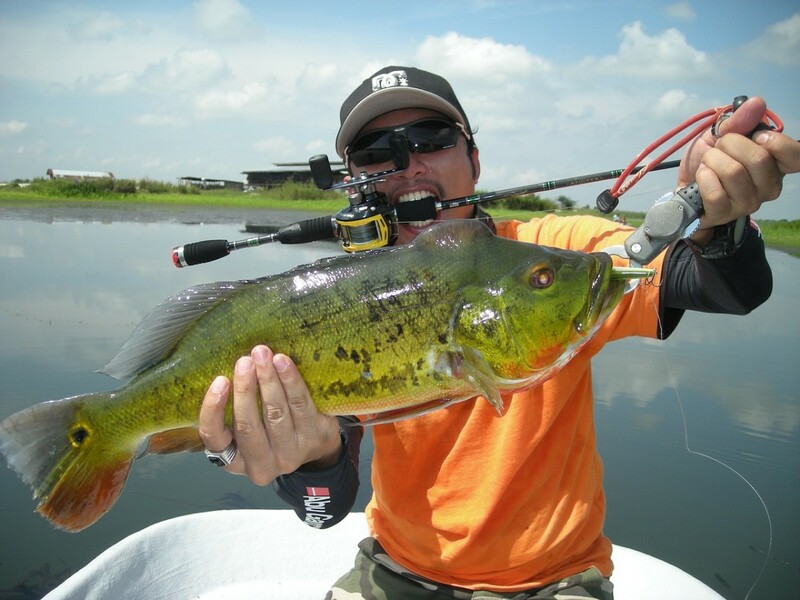 We want to select a spinning rod for this application. When it comes to material of construction for ultralight gear, carbon fiber/graphite is the way to go. Carbon fiber is phenomenally lightweight, and can be carefully manufactured to provide a custom range of actions and powers. Many older ultralight fishing rods were made of fiberglass and sacrificed power and sensitively to reduce weight. We called these rods "noodles" back at the fishing shop. Sure they bent easily, but they had no backbone, and made casting and fighting fish a complete drag. 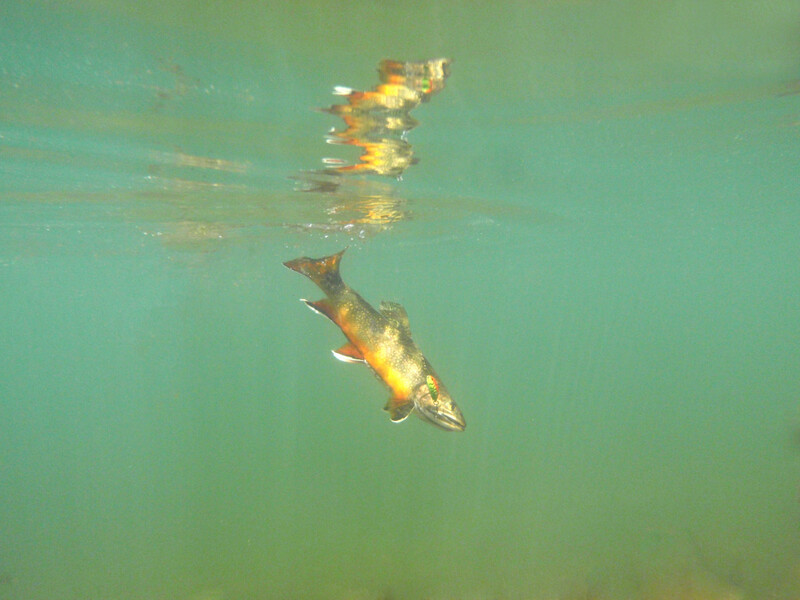 By varying the taper and modulus of newer graphite rods, ultralight gear can have much faster actions, meaning you'll have a sensitive tip capable of detecting the lightest bite, while maintaining enough backbone to handle that surprise lunker bull trout. Another thing to check is eyelet count. The more eyelets the rod has, the better casting and fighting performance you'll have. More eyelets means smaller loops of line between eyelets when casting, which reduces eyelet drag. Increased eyelet count also ensures that the load is distributed evenly across the entire length of the rod when fighting fish, rather than just at the top. As a general rule, at least one eye per foot of rod length is sufficient. Bonus tip, if you break an eyelet on a rod, or forget to run your line through all eyelets, you will drastically increase the likelihood of breaking the rod while fishing. The fewer working eyes you have, the less evenly distributed the load will be. This goes for all fishing rods. Typically, longer rods provide better casting, allow for more flex at the tip end of the rod while still maintaining sufficient backbone, and provide better leverage when fighting fish. On the other end of the argument, longer rods weigh more and can become unwieldy when fishing in close quarters or dense brush. As a good compromise, I typically suggest rods in the 6 - 7' range. Any shorter and you will start taking a big penalty to casting distance. If you'll be primarily casting lures with this rod, you'll want to find a rod labeled as either fast action or ultra-fast action. Fast action rods do not bend as much at the base, but are incredibly flexible at the tip. If you'll be doing less casting and more float or bait fishing, I would consider a medium-fast to fast action rod. Not all rods are listed with an action. To check the rod action, hold it firmly and give it a short, quick flick, as if you were pitching a lure. 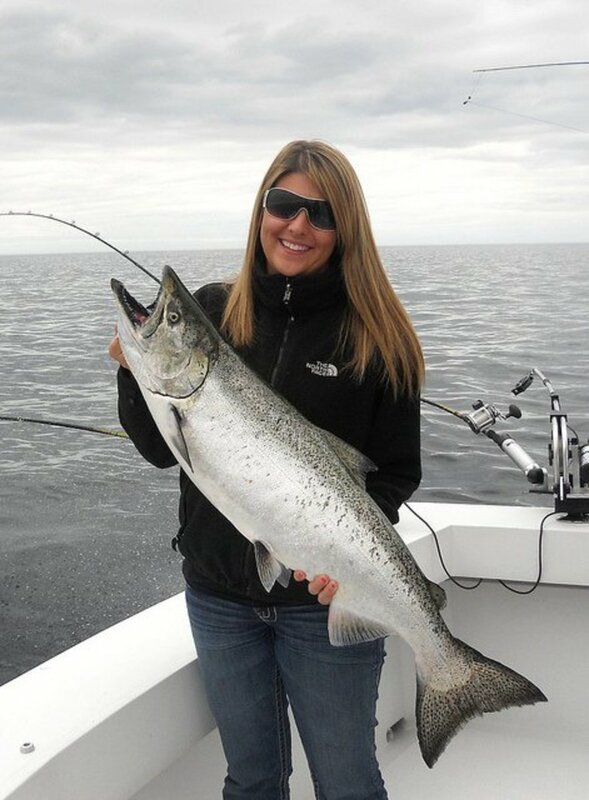 If the majority of the rod length stays static with just the tip deflecting, you're holding a fast action rod. If the entire rod seems to bend, you're holding a slower action rod. If you'll be doing a lot of backpacking, hiking or travelling with this ultralight rod, you may want to consider looking for a four piece rod. Four piece rods break down into a smaller overall length, meaning they are easier to strap to the outside of your backpack, or fit inside travel luggage. I've backpacked with a two piece rod before, but you'll either need to buy an overall shorter rod, or get used to getting snagged on every other tree you walk under on the hike it. I strongly recommend four piece rods anytime hiking is involved. If breaking down into four pieces is not necessary for the fishing you'll be doing, stick to a two piece rod. Two piece rods are less expensive and will provide you with far more options for length, weight, and action. Choose a fast to ultra-fast action, graphite spinning rod between 6 and 7', with at least one eyelet per foot of rod. 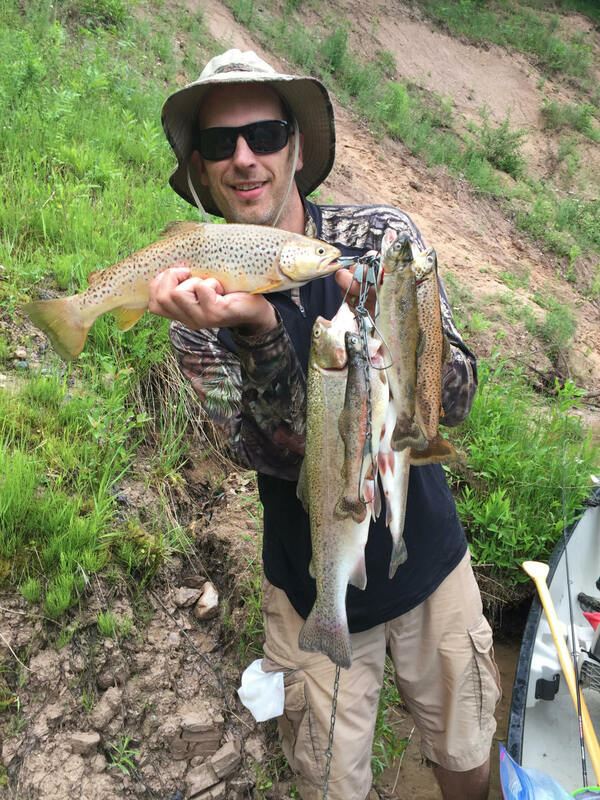 A great day of trout fishing! 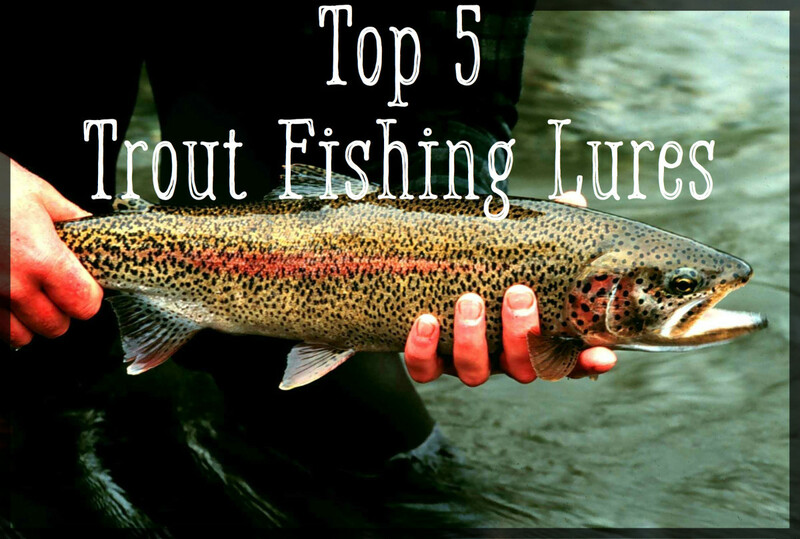 I've narrowed down my picks for the current top ultralight spinning rods on the market to three: Best Under $50, Best Value, and Best Overall. These spinning rods weigh next to nothing, cast with precision, and easily handle hefty fish while still giving the little guys a fighting chance. For anyone fished with Ugly Stiks from decades back, they may have left a bad taste in your mouth. Ugly Stik started out with a mission to create a nearly unbreakable fishing rod, which they did, and still do. Unfortunately, the early models of these rods were practically broom sticks. Built like a tank with the reflexes of a tank. Over time though, they've improved the recipe. The new line of Ugly Stiks have the same unbreakable construction, but you would never guess that from the sensitivity and flexibility of these rods. When I worked at the fishing shop, the old timer fishermen who had got to know the Ugly Stiks of yesteryear were always blown away when we finally convinced them to give the new models a try. And they just keep getting better. Now, Ugly Stiks are not a true full graphite construction, but rather a fiberglass-graphite hybrid. This is partially in order to keep the cost lower, but mostly in order to maintain their indestructible construction (fiberglass is tougher than graphite). As a result, Ugly Stiks take a small performance hit, although its really pretty minor. If you're considering an Ugly Stik, I recommend the Elite series, which contain a higher graphite to fiberglass ratio than their normal line of rods, shifting them more in line with traditional ultralight rod construction. And don't worry, you still can't break them. Given their toughness, Ugly Stiks are the perfect rod for lending to a friend, strapping to a backpack as you careen down a ravine to a hidden trout stream, or stashing in the trunk of a car for those impromptu river bend turn-outs. I have a number of these rods I've been using for decades, and they're still going strong. "Worth every penny and better than the rest!" St. Croix makes some awesome rods. For ~$100 you won't find a better value for an ultralight spinning rod. Using the same graphite and manufacturing processes as their high-end models, the Triumph series provides a luxury fishing experience at a remarkably affordable price. Premium cork handles, braided superline ready aluminum oxide eyelets, and finely tuned fast action sensitivity make these a dream to fish with. If weight is on your mind, the 5'6" ultralight model weighs in at an unbelievable 2.4oz. And if you're planning on packing the rod, the Triumph series includes the hands-down finest four piece travel rods available anywhere on the market. If you're looking for an ultralight rod to take hiking an backpacking, this as good as it gets. Round that all out with a very generous 5 year warranty and its a killer deal. "Hands down one of the most fun setups I have. I use it with Joe's Flies, small Mepp's Spin Flies, or Pistol Pete's, and it's a great rig. I use it for trout, crappie, or small pan fish. Even caught a catfish on it once and the rod held up great." The Gary Loomis Trout and Panfish Series spinning rods win by a landslide. In a Field and Stream review of the "Best of the Best" ultralight rods, one reviewer claimed it was "like fishing with a feather". I have to agree. These rods feel like more of an extension of your arm than an actual fishing rod. Whether you're pitching micro-jigs, feather-light spoons, or small crank baits, these rods have the casting power to get your gear to the fish. Between the ultra-lightweight construction and industry leading premium graphite blanks, you will never miss even the lightest of strikes. While the rods do come with a high price tag, the first time you try fishing with one of these rods you'll probably stop using all your other fishing rods. They are an experience you truly have to feel. 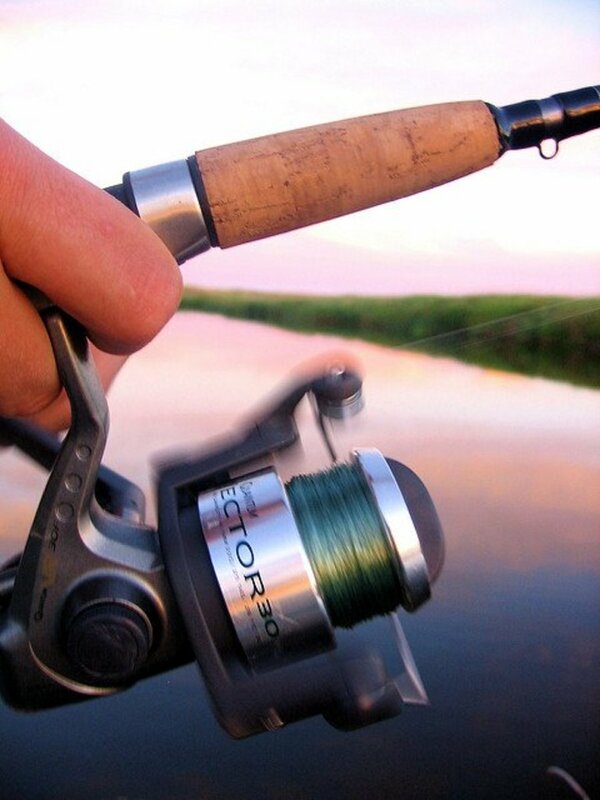 Gary Loomis rods also come backed by one of the finest lifetime warranties in the entire fishing industry. This isn't just any old call the company and try to explain what happened and eventually give up and buy a new rod anyway kind of warranty. If your G.Loomis rod breaks due to any fault of the manufacturer, its covered, you'll get a new rod free of charge. Whats more remarkable is their Xpeditor service. If your rod breaks (or even just gets old) for any reason, even if its your fault, car door, dropped pack, dropped half of it in the lake, they will express ship you a brand new rod for just a phone call and ~$75 (you ship them the broken one later). That's a brand new rod, no questions asked, whenever you want, for $75, for as long as you live and they stay in business. Think about it. 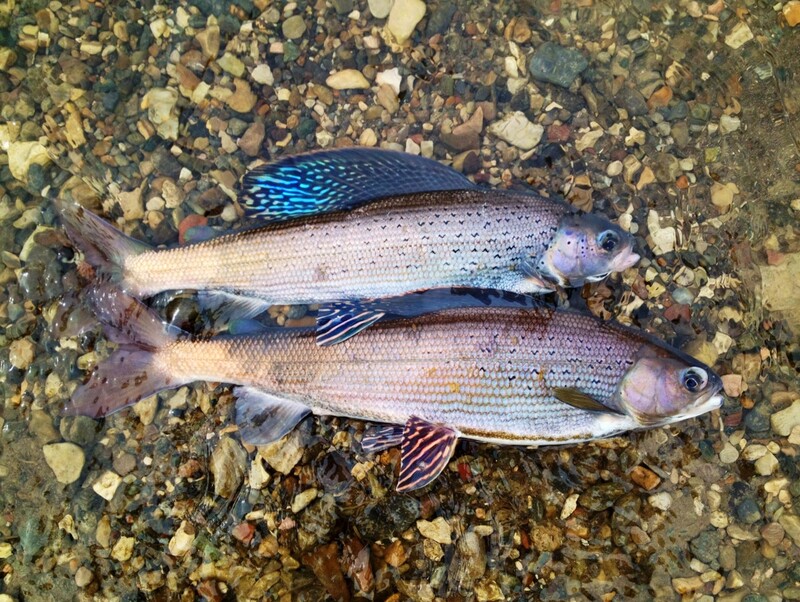 "Best ultralight rod I've put my hands on bar none. I use it for throwing eggs and trout magnets from my kayak. I kid you not, I could feel the trout inhale one of those trout magnet jigs." The Loomis Xpeditor is now $173.30AUD (from BCF Australia). I lost a tip playing a fish. I said faulty rod. BCF said, No - Expeditor. Anyway, I did get a replacement rod - but you have to be cautious. Loomis have paired with Shimano in Aussie. Perhaps that's the reason. I enjoyed this informative Hub. I still use a Fenwick ultralite road that I purchased decades ago - an "entry level road" - and a Daiwa spinning reel purchased more recently to replace my Quick 110 Micro-Lite reel. Thank you for writing this!